Versal is service that you can use to create online classes that are bit more robust than your average flipped lessons. 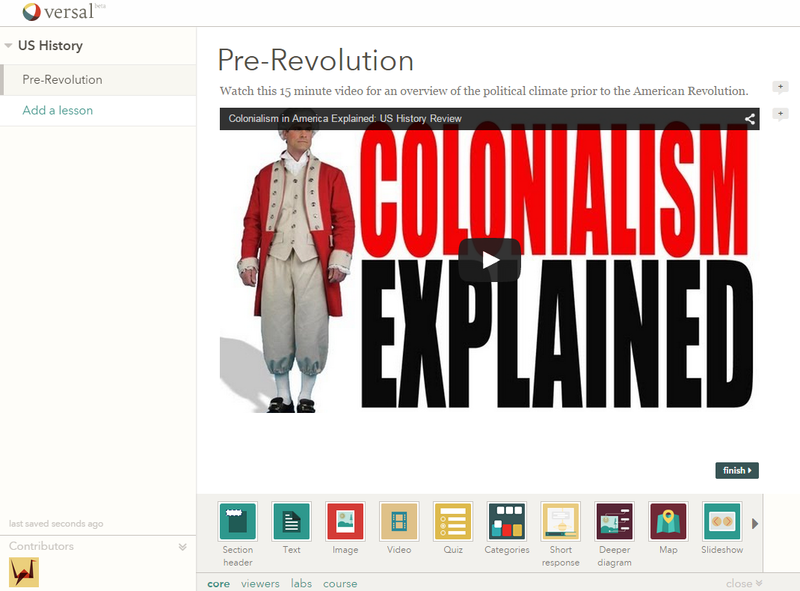 On Versal you can build online courses that incorporate text documents, images, videos, maps, slideshows, and more. When you build a course in Versal you build it lesson-by-lesson in an easy-to-follow outline. 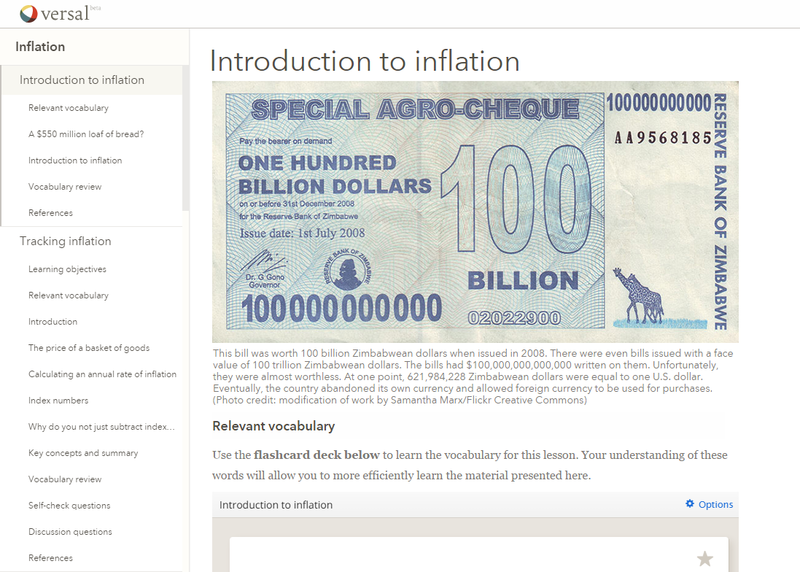 To build a lesson you drag content widgets onto a blank canvas. The content widgets include all of the previously mentioned media plus a whiteboard for drawing (perfect for math lessons), GeoGebra animations, timelines, and quizzes. When you add a quiz to your lesson you can require that students meet a minimum percentage in order to advance to the next lesson in your course. You can invite students to take your course and or embed your course into your blog or website. You can track the progress of invited students. If you don't have the time to create a course from scratch or if you're looking to take a course yourself, jump into Versal's public course catalog. These courses can be embedded into your blog or website. Unless you upgrade to a premium account, you won't be able to track your students' progress on courses that you didn't create. What makes Versal an appealing option for developing online courses is the wide variety of content types that you can add to your courses. Versal's whiteboard, Desmos, and GeoGebra gadgets are perfect for developing online mathematics courses. The option to require students to complete a quiz with a minimum score before moving into the next lesson is perfect for ensuring that students don't rush through your course. On Wednesday at 7pm Eastern Time Versal is hosting a free webinar on using their service.